What a nice bio you have. It makes me look really boring. Thank you for stopping to comment on my site recently. I wrote the bio so long ago. I’ll have to reread it. LOLOL Thanks, Gavin. I apprecite your finding it nice. It’s a pleasure to meet you. Thank you so much for sharing your bright, my dear lady. We are meeting after long time on wordpress. My old blog was https://thoghtsexpress.wordpress.com/god/. Now its https://thoughtsexpresswithme.wordpress.com/ Please comment. Hi Jack, great blog. Wanted to get in touch with you about a potential partnership with our online language learning website Preply.com If you have interest, just message me back on my email and we could discuss details. Thanks Jack! Kindred spirit, it seems. What you are doing is beautiful. Thanks you! You have such a wonderful beautiful blog. I’m enjoying reading it. Love it. I appreciate your comments on all of the blogs you’ve visited whhile here. You are very kind to say all of these complimentary words. Thank you for signing up to follow my blog. I hope you come back and visit again real soon. Do feel free to browse and leave a comment anytime. I will . You’re welcome. Fun place you have here. Yes, CE, you may call me that. I don’t mind any abbreviations. I appreciate your dropping by for a visit. I try to make people feel at home while here. Thank you so much for your very kind words, Phyllis. We did arrive on time to catch the cruise but little did we know how very injured I was. I am supposed to hear on Moday when my surgery will be. I will be trying to post as much of the story of our journey as my energy allows. But, in the end, it will all be told. I will check to see where my comment box went. I appreciate your letting me know. It’s been a huge surprise to me too. Hi Isadora, you haven’t posted for a long time, is everything OK, I miss you! Very nice blog and the posts look very interesting too. Will read them as and when I get time. Hello Isadora! I am happy to be here. I just congratulated you on your 28 years of artistic work. I wish you many more years of writing, blogging and other works that will contribute to make the world a much better place for all. Welcome to my blog. I hope you enjoy it and visit often. Thank You !!! Isadora, thanks for taking another look at Modes of Flight recently. Thanks so very much for liking and commenting my posts. Thanks for the follow, Alice. Hi, Isadora………..first of all i liked your blog and very many thanks for visiting my blog too. I would like to say you that your blogs are beautiful and beyond doubt matchless, your style of art is just awesome, i just have no other word to express without it. I will visit your blog again and again to see your art and photos. Thanks once again and have a wonderful life ahead. of the songs I did for yoga. in the future. I know I will await all new posts to read from yours. Thanks so much for visiting and following my blog! I’ve been reading yours and I am enjoying it immensely. I look forward to reading much more! I wish you all the best! I’m pleased you’ve enjoyed browsing my blog. Your welcome on my following your blog. I admired so many of your photos posts. They were creative and beautiful. I just posted the portrait I think you were talking about. I have so many it’s hard for me to keep track of them lately. I plan on posting 2 more photographs. After all, one can’t have too many entries. Thank for making me aware of this contest. I really appreciate it, amiga. I am very happy to meet you! Thank you for your being and this possibility to touch your Soul! Love and peace. Your kind words are so touching. Blessings during this Christmas season and all year through. Many thanks for stopping by via Marina’s blog. I’ll return to look around a bit more, but as you saw, I have some important family issues at this time. Thanks for following my blog, Isadora. I was just reading your Oct. 18th post on dreams. Seems we have something in common. I spent my Sophomore year of high school in a Mexican school where it was all in Spanish and when I got there I didn’t know a word! It’s amazing how in immersion like that one learns fast. Why did you spend your Senior year in a all Spanish speaking school? I’m intrigued! And so glad we’ve connected here. is in small little daily things. Thanks for stopping by my blog and signing up to follow it. I greatly apprecaite it. finding my blog of interest to you. You’re artistic work is feel in every word I’ve read so far! It,s a great pleasure to now following your Blog and it’s an honor for me to have you come visit me. I only put some ”likes” on your articles, ’cause I have to leave, but they are sincere and with joy! Thank you. Really enjoyed looking through your blog. It’s lovely. Thank you for becoming a subscriber. Now I’ll take a stroll through your blog. I’d love to see your jewelry. I apologize for the delay in responding. It has been a bit tumultuous around my computer. I welcome you among my many followers. I plan to visit all of the bloggers who have left messages for me in a timely manner. I haven’t visited your blog but my intention is to get there. I apprecaite all of your comments. Perhaps, you’d like to pop over to one of my posts and see some of my designs. I have my Etsy shop posted at the end. Of course, these designs have since been sold. I am retired and liquidating my art jewelry slowly. Thank you for inquiring. Thank you for coming by and liking my post! Your art work is beautiful! Thank you … I appreciate your award to me. I hope to get to this one and a few others real soon. Hi, Isadora, Gina here, I am currently buiding a Christmas website and came across your Vintage Santa. I would love to use it on my webpage, with your permission, and would provide a link to your website. I believe we have very similar tastes, I am very old fashion and love vintage things. I am much like Peter Pan and refuse to grow up!! It’s a pleasure to meet you. Yes, you can use the image of the Vintage Santa. He is a favorite of mine; as well as others, I have that are vintage. I look forward to seeing the web site in the future. Please add me to your mailing list when it is up and running. I look forward to visiting and enjoying many beautiful things. Just a word of thanks for your visit. I’ll be back to explore you blog more thoroughly. Thanks for visiting Mind Heart Journeys. You have a lovely blog! Hi Isadora… nice to meet you. Thank you … come back and visit again. I just loved your description: “Crackling with excitement for life.” I love this attitude as I am the same way! Please to find you in the blogasphere and I look forward to following you. I’m pleased that you found me, too. Hope to see you visit again soon. You might want to read that about page. Honored and Thank You …. Great blog with great writing! Keep up the wonderful work. Blushing and appreciative of your kind words. Hey, Izzy, are you ready for another award? This time it’s Blogger of the Year. My post will be coming out on Friday. Am so very appreciative. I will have to get to this one quickly. I love being a Sweet Blogger. Thanks …!!! Very pleased to “meet” you! What a pleasure to have found your blog- you take very lovely pictures indeed! Looking forward to visiting again! Hope you come back again to visit. It is a pleasure to meet you , as well. Thanks for stopping by and liking my pets post! Isadora – where do you have your fiction posted? Welcome and THANK YOU for your visit and for leaving your very nice message. I appreciate all visitors. I hope you’ll come back again. You did a fine job. It is always so difficult to be a judge. I know from where I speak. gernerous and sweet nominators. Thank you’s galore …!!!! Thank you, Margie … I appreciate the visit and comments. Your blog is outstanding. I look forward to reading more, as well. OMG … I have just seen this. OOOppppsss … it got away from me. to everyone that gives them to me. I will do my best to live up to them. who I know have already voted for you. A well deserved award for a GREAT gal. You have a sweet and very strong minded little Scrappy son. He loves you loads. Hi, Izzy. Sorry to bug you, but I’m a finalist in Dark Globes Outstanding Artist Award, Blogger of the Year. If you go to this post on my blog, Scrappy will tell you all about it. I sure would appreciate your support. Pingback: Versatile Bloggers « Kweschn! 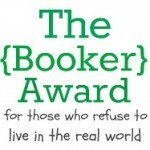 I am passing along the Liebster Award to you for I believe you deserve it. It was passed to me by a great blogger named Ari. I have created a post for this award – Please reference the link for the rules. Izzy, I’m nominating you for the Reader’s Appreciation Award. Looks like you don’t have that one on your wall of trophies and you should! Woo -Hoo – another honor and from someone so honorable. Very nice Christmas gift, Lorna. Noe, I must abide by the rules. a good writer should go outside of themselves in order to know what others are thinking. Then, feeling their lives will give you the inspiration to write more sincerely. yes, I will go and check out your blog. I am always willing to help in any way I can. I cannot say I am an expert but I can give you an opinion. The rest it up to you. I can see you are a woman of many talents! Wonderful blog Isadora. Thank you so much, Christine. I am a lover of many things, usually, all of them are influenced by art. I must have been in a pool of colorful water as I was developing in the womb. You are so welcome …. Yes – it does have a way of healing. Dear Isadora, I am deeply grateful for your kind visit to the Blog.Thank you so much.I feel I could have written better. Allah is Gracious with His Blessings.I love Myths and Legends and Literature.Its great to be part of all the lovely Poetry prompts. Your expressions are uniques and distinct in their style.The reader is moved and touched. Thank you again. the heart of the reader. If I have accomplished that, then, my mission is comleted. Your comment is gratefully appreciated. Sorry—you see I am a little slow—how do i subscribe? I am assuming you want to subscribe to my postings on my blog. There is an e – mail subscribe box on the home page. I am new at the wordpress site too. I get lost on it, too. Thanks for you rinterest and for taking the time to sign up. It is greatly appreciated. I can not find the comment section for each. I am little under the weather, and will look at the rest tomorrow…but these three are brilliant. They are three different genres..but excellent. Thank you for taking the time to read andcheck – out my blog. I am so grateful for your comments. I find any and all critiques to be helpful even if it is in some small way. Writing is personal and cannot be change but it can be improved.